Register your Garden Days activities today! 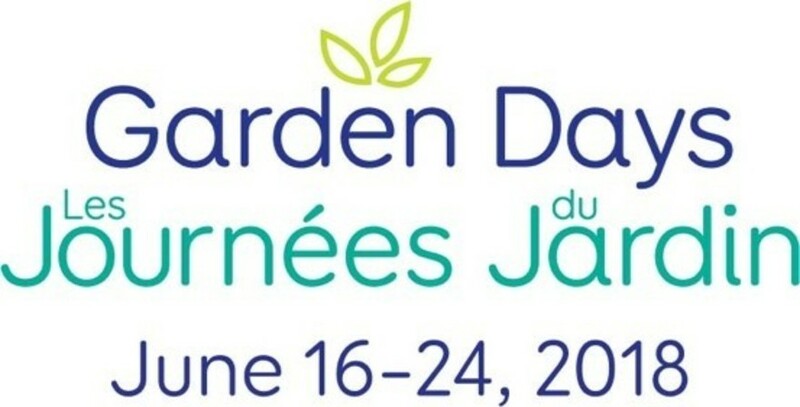 Garden Days is Canada's annual nine-day celebration of gardens and gardening. From coast to coast to coast, gardens, garden centres, schools, garden clubs, hort societies, communities and even private citizens participate in this fun-filled celebration of the vital role that gardens and gardening play in our communities and our lives. This year, wineries, farmers' markets, community gardens, BIAs, newcomers clubs and libraries will be joining the party, making Garden Days 2018 the best ever. Be part of this national celebration at no cost. How great is that! If you're planning any garden or gardening-related activities between June 16 and 24, 2018, register them, at no cost, on the Garden Days website. It's as simple as clicking on the 'Register Your Activity' button and inputting your activity information. It'll take less than five minutes to register your activity and be part of this exciting national program. Create a special Garden Days activity or register an already-planned event – what you do is entirely up to you. The intent is simply to profile your celebration of gardens and gardening and your contribution to Canada's garden experiences of all types. If you're looking for inspiration, scroll through past years' Garden Days activities in our site's archives. From educational to wacky, heartwarming to downright fun, you'll get tons of great ideas for kids to seniors, as well as new to seasoned garden enthusiasts alike! Still not sure what to do. How about asking your Mayor to declare your town or city's own 'Official Garden Day'? We've made it super easy for you to do this by providing you with a downloadable proclamation template that you can take to your City Hall. When you have your Mayor-signed Garden Days proclamation, you can register your city's official garden day as an activity. It's a great way to let your city officials know how important gardens and gardening are in your community. Garden Days is supported by vibrant national public relations, social and digital media campaigns, as well as a Network of Champions, and national and provincial spokespeople. We invite you to connect with your provincial spokesperson by visiting the home page of the Garden Days site and clicking on the name of your provincial spokesperson. 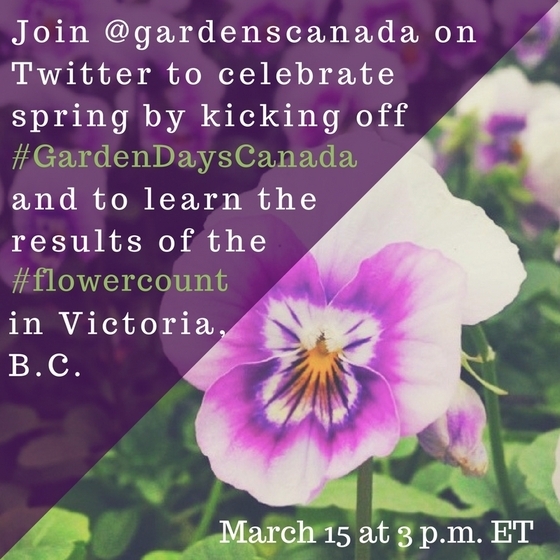 Join us on Thursday, March 15 at 3 p.m. EDT, when the Canadian Garden Council will host a Twitter Chat through its @gardenscanada account. The Chat will serve as a way to officially kickstart Garden Days 2018 by explaining what it is, when it takes place and to encourage clubs, public gardens, garden centres, businesses and other relevant organizations to register their activities, at no cost, on the Garden Days site. 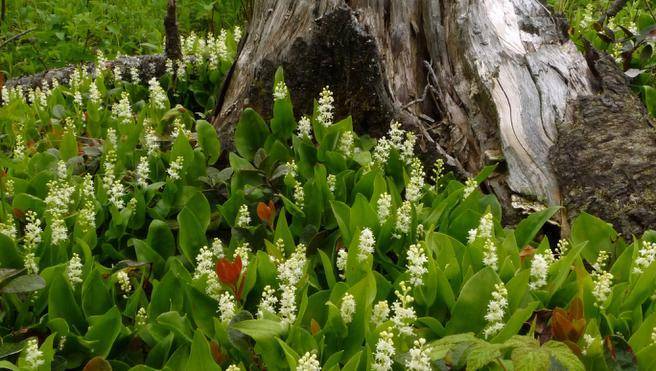 The event has been timed to coincide with the Victoria Flower Count results and it is occurring during one of the last days of Canada Blooms, the country's largest flower and garden festival. It will serve to bolster awareness of Garden Days, while celebrating a couple of well-known spring activities.